The AirSep Focus battery case is designed for use with the micro batteries that are included with the purchase of the Focus. The sleek design is matched with battery security, offering a Velcro and magnetic closure to securely hold the battery in place. The overall design of the battery case was engineered with patients like you in mind. Offering a built-in belt buckle clip that allows you to carry the Focus battery on your waist without adding additional weight to the unit. 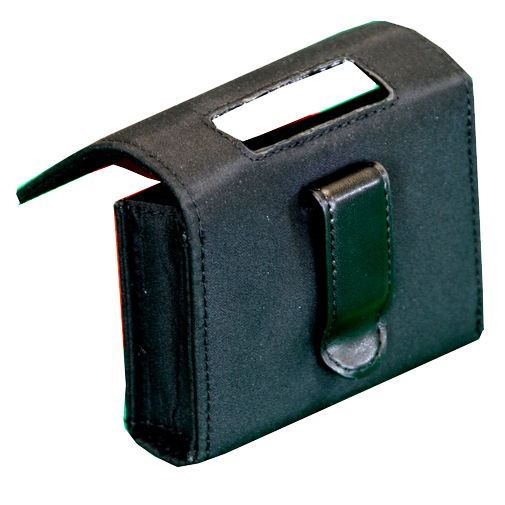 In addition to the security the Velcro and magnetic closure provide, there is also a cut out to allow you to access the on-board battery gauge without removing the case.